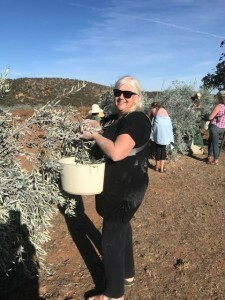 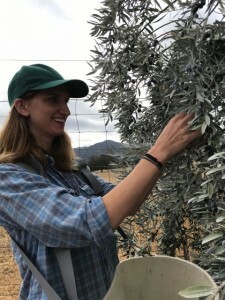 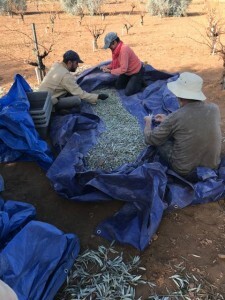 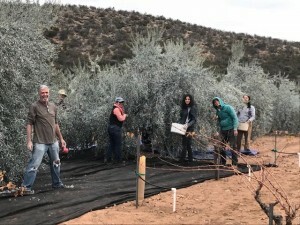 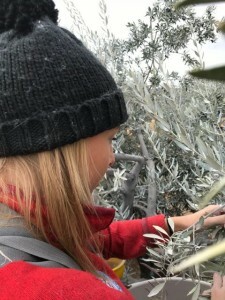 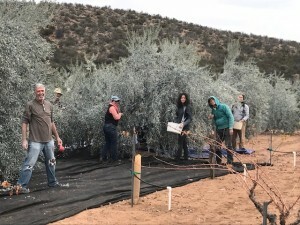 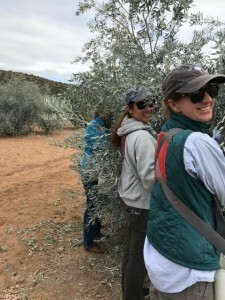 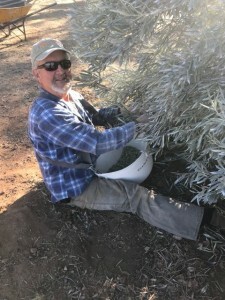 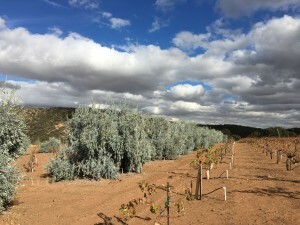 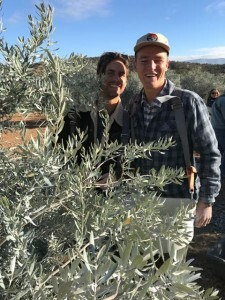 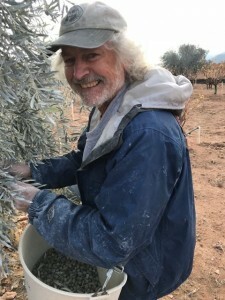 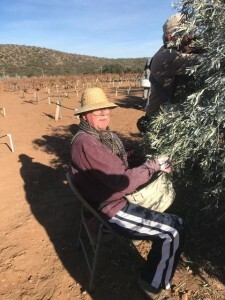 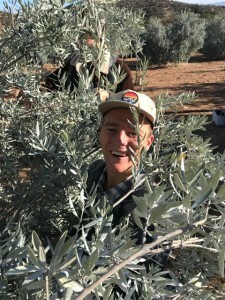 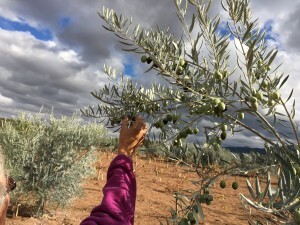 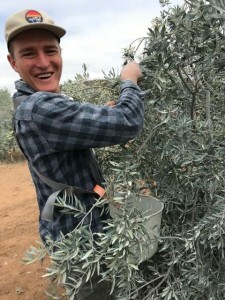 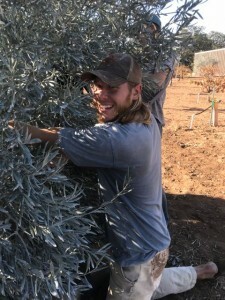 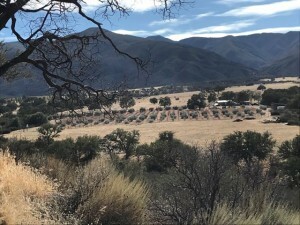 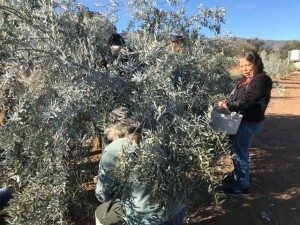 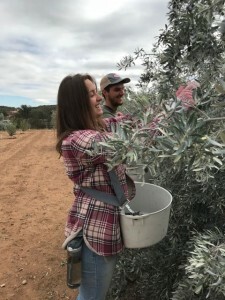 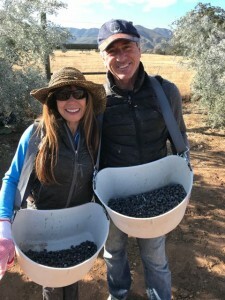 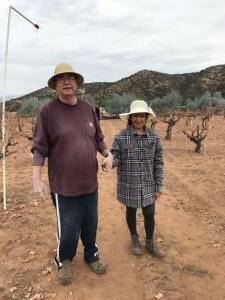 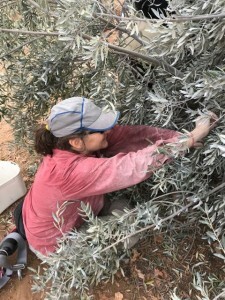 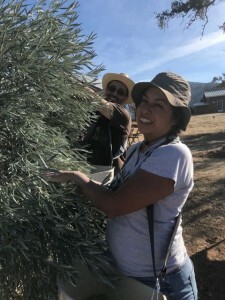 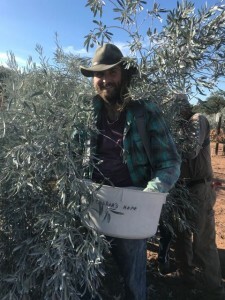 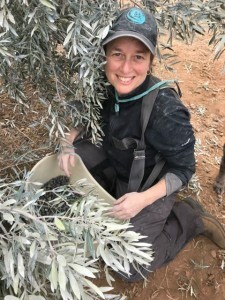 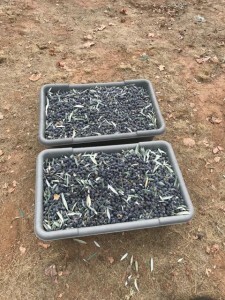 The abundance of rain in 2017 brought us a bumper crop of olives and we were thrilled to be able to hold two community olive harvests this year! 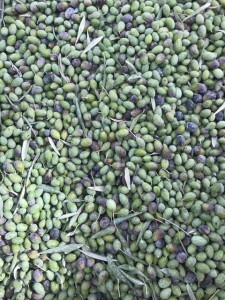 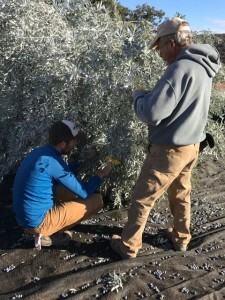 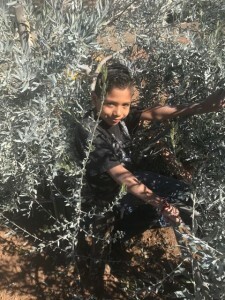 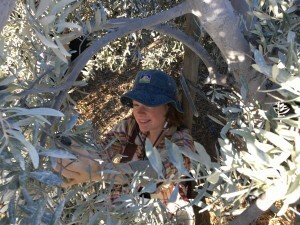 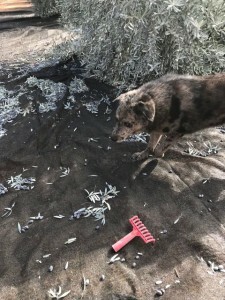 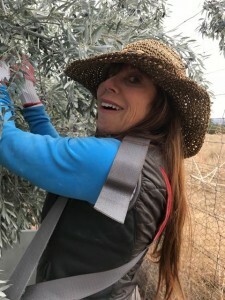 As those that joined in our harvests already know, we had SO MANY olives. 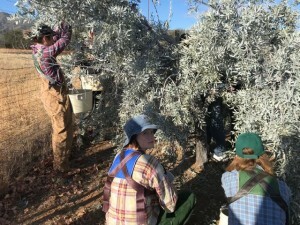 We had an amazing crowd of hard workers both weekends, and celebrated with lots of sweat, food and WINE. 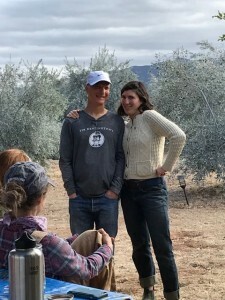 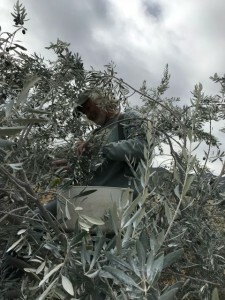 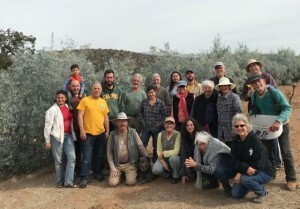 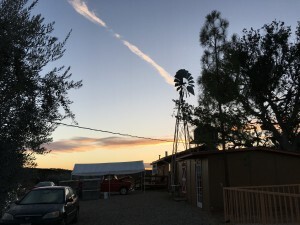 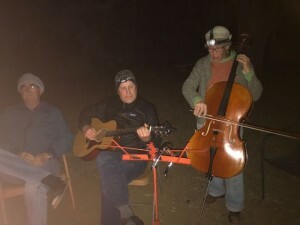 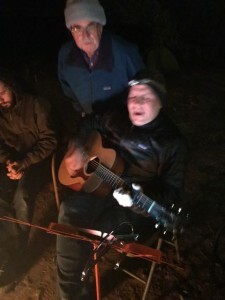 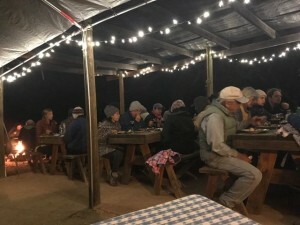 Thanks to all of you for coming together to join in community– standing in place for what seemed like hours harvesting and chatting around the olive trees–a meditation of sorts; helping wherever help was needed from kitchen to clean up to taking photos; to sipping wine and playing music around the campfire; and to breaking bread and eating nourishing food together. 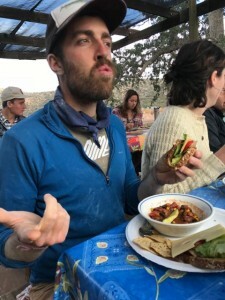 With gibberish of “soup or salad”! 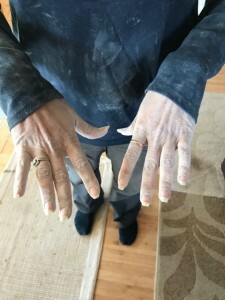 And did I ever hear a “Thank You”? 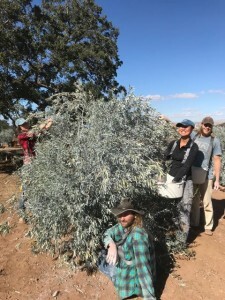 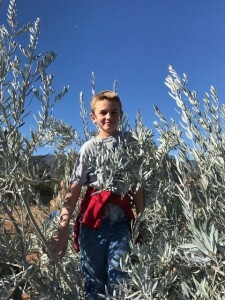 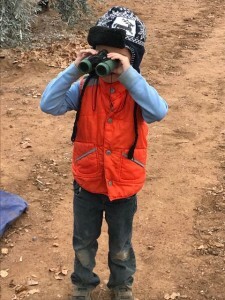 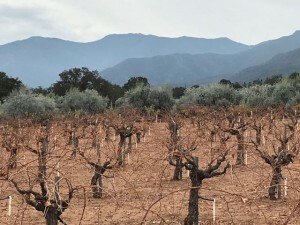 Well, we have much gratitude to you and the trees for being essential components of Condor’s Hope. 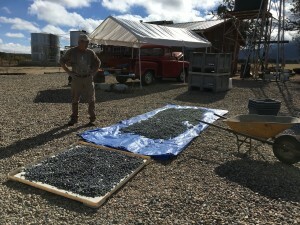 Our total harvest data from weekends 1 & 2 came out to be 5844 lbs = 2.92 tons !!! 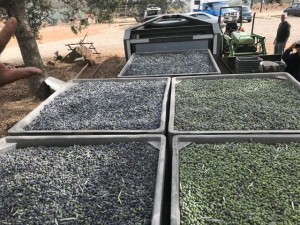 And, yes we now have the olive oil—a total of 86.5 gallons of luscious, rich, with full flavors of delight. 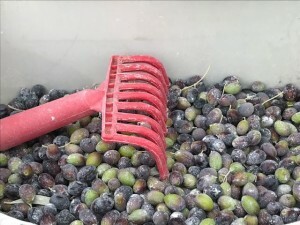 Only 11.3% of the olive fruits was oil. 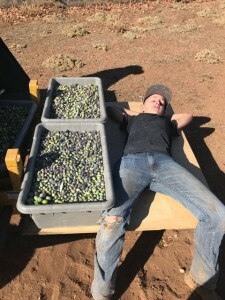 It takes a lot of olives for each delicious taste of oil. 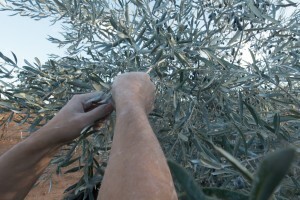 Olive oil is at its best when its young and fresh in the bottle. 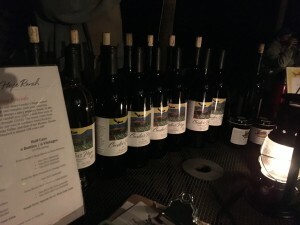 Reserve your bottle today! 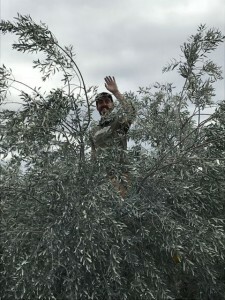 To all of you—thank you, thank you. 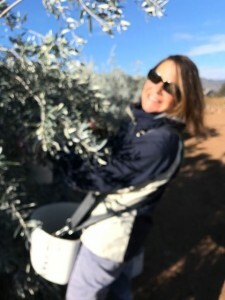 Sharing in this age-old tradition with each of you, fulfills both of us in a cornucopia of joy! 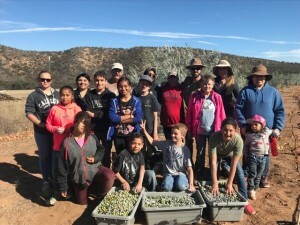 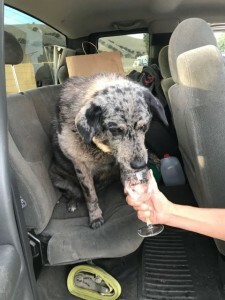 Many came to help join in! 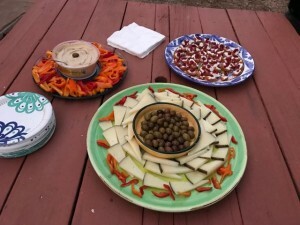 and a big plate of food….